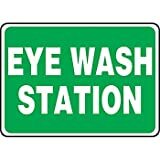 Save on Eye Wash Units at UCBC Group. Top brands include Husky Portable Containment, New Pig Corporation, Accuform Signs, & DQE. Hurry! Limited time offers. Offers valid only while supplies last. Husky Aluminum/PVC Decontamination Pool With Shower ALFDP-48WS - 48"Lx84"Wx202"H, Red, 230 Gal Cap. Husky Aluminum/PVC Decontamination Pool W/Shower ALFDP-48WS - 48"Lx84"Wx202"H, Black, 230 Gal Cap. 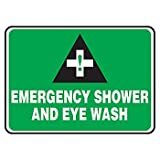 Husky Aluminum/PVC Decontamination Pool w/Shower ALFDP-48WS - 48"Lx84"Wx202"H, Yellow, 230 Gal Cap. 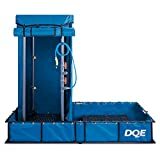 Husky Aluminum/PVC Decontamination Pool W/Shower ALFDP-55WS - 60"Lx84"Wx205"H, Black, 180 Gal Cap. Husky Aluminum/PVC Decontamination Pool With Shower ALFDP-55WS - 60"Lx84"Wx205"H, Red, 180 Gal Cap. Husky Aluminum/PVC Decontamination Pool w/Shower ALFDP-48WS - 48"Lx84"Wx202"H Orange, 230 Gal Cap. Husky Aluminum/PVC Decontamination Pool w/Shower ALFDP-55WS - 60"Lx84"Wx205"H, Orange, 180 Gal Cap. 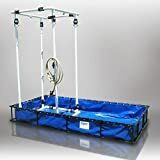 Husky Aluminum/PVC Decontamination Pool w/Shower ALFDP-48WS - 48"Lx84"Wx202"H, Blue, 230 Gal Cap. Husky Aluminum/PVC Decontamination Pool With Shower ALFDP-55WS - 60"Lx84"Wx205"H, Yel, 180 Gal Cap.